July 23, 2018, 10:28 a.m. They say a picture is worth a thousand words though. July 24, 2018, 4:09 p.m.
July 24, 2018, 4:39 p.m. Didn't know the pic didn't upload. Worth the wait. July 24, 2018, 4:40 p.m.
Don't know why it loads upside down, but if you click the attachment it shows up fine. Had 5 rides on it so far and could not be happier with it. 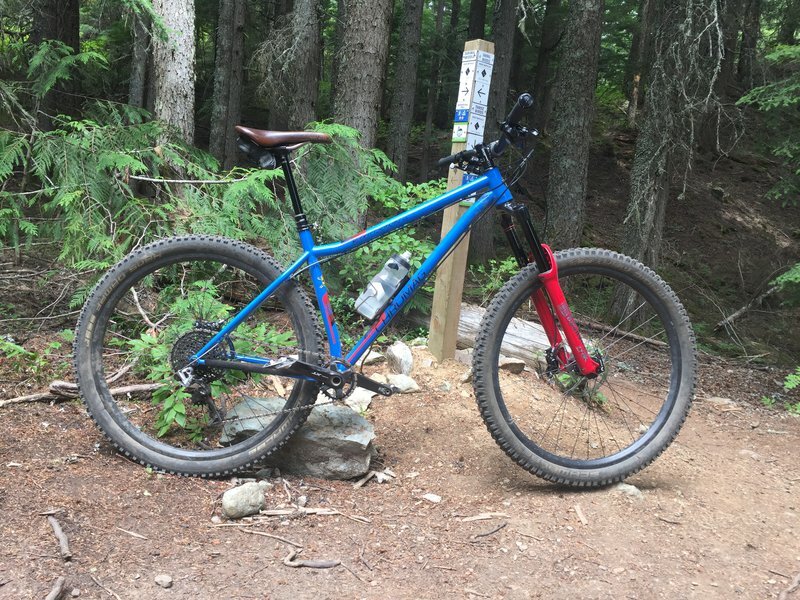 July 25, 2018, 12:13 a.m.
New fork for the rootdown, very happy with it after a few rides. July 25, 2018, 3:56 p.m.
Love the blue! I need to get out and get a pic of my Rootdown...health issues the last few weeks though. Getting old is awesome! July 30, 2018, 10:42 a.m.
ML Gen 1 Rootdown just rebuilt with a new fork, drivetrain and new hub internals, likely going up for sale soon as my wife isn't so happy with bike #5 in the house. July 30, 2018, 10:44 a.m.
Good God that's a beautiful bike. Aug. 7, 2018, 8:21 p.m.
Just got my fork back from the shop. Been riding my Evil for a few weeks - forgot how great this bike was. Aug. 8, 2018, 9:35 a.m.
God I love Ti bikes! That's a beautiful rig Rah! Aug. 8, 2018, 8:17 p.m.
Aug. 8, 2018, 9:38 p.m. Thanks, I always wanted one ever since I couldn't afford one back in the 90's. 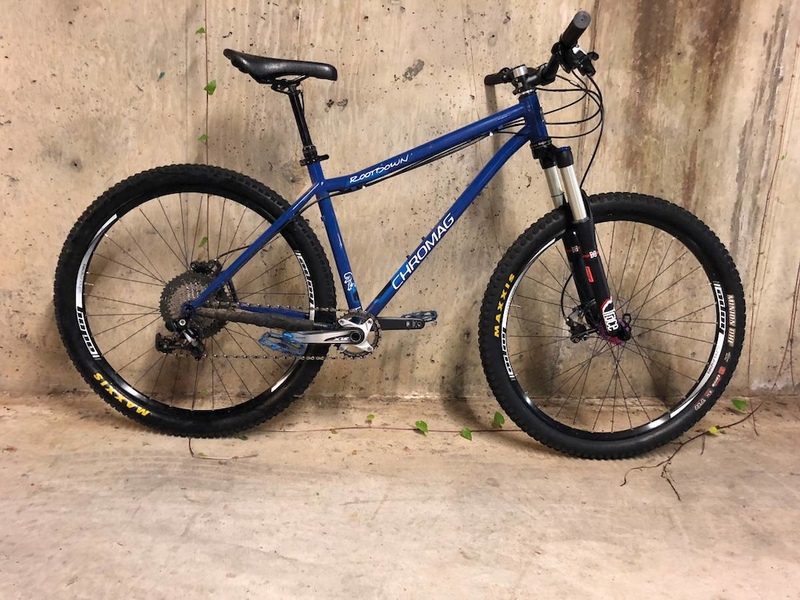 Now that I can get one, I figure when building a hardtail (a technologically regressed platform) why not use an outdated medium that costs more than carbon? 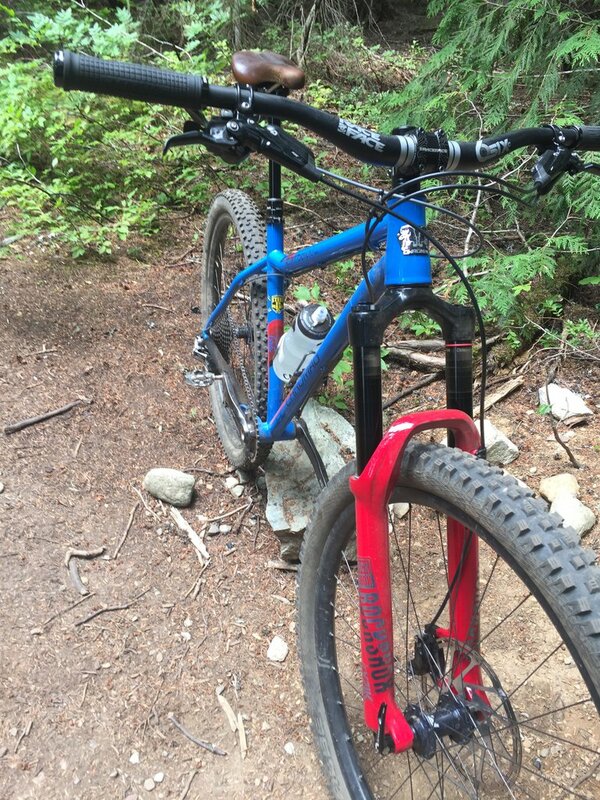 Hardtails don't make sense to most riders, so why not take it to the limit? "why not get rear suspension?" "Why titanium? Why is it so special....I always hear about it." Aug. 8, 2018, 9:54 p.m.
^ I picked up an OG Surface when they were first released. Heard that and more. Aug. 9, 2018, 2:13 p.m. 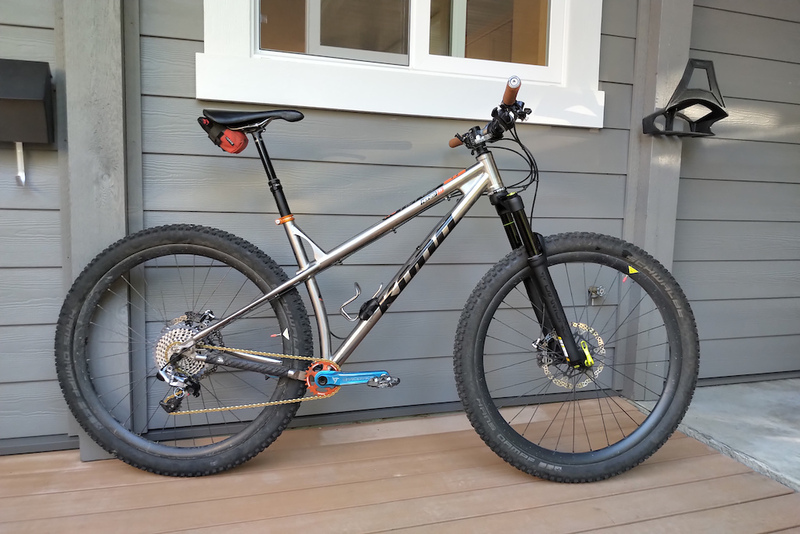 If you're going to buy a Hardtail (voluntarily, not because you can't afford a fullsusser), and if you've got the money, why would you ride anything else than Titanium? :) I agree, great build on that Honzo. Aug. 28, 2018, 10:32 a.m.